I spent Christmas in Boston with my husband, family - my brother in law informed me of DoorDash's $1 deliveries for a month, and suggested that I try you out for a Christmas Eve delivery. I did. The service was fast - faster than expected and I was pleased. When we returned home, we used them again, and again we were happy with the speed of delivery. Then we placed an order on New Year's Eve. The order was placed at 6:01 PM CST with a guaranteed delivery time of 6:43 PM. 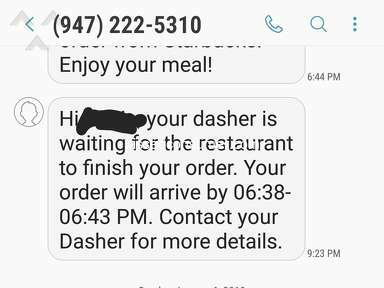 At 6:43 I received a text saying the order would arrive at 7:03 PM and if I had issues to contact my Dasher - but they had assigned no dasher. There was no option to chat with support (as the website said) and I had to spend 30 minutes hunting down a phone number. A dasher was assigned to the order at 8 PM. 8 PM. 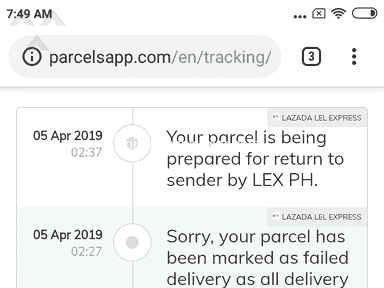 That's two hours after the scheduled delivery. By that time I had gotten someone on the phone. She told me the dasher was at the restaurant, but they were out of one of my items. Did I want a replacement. I said yes, and asked her to call me back after she contacted the restaurant to let them know I needed a replacement. She never called back. Instead, 10 minutes later I get an email saying my order has been cancelled. I call back. the agent says, "it's an accident" and replaces the order, and says he'll call me back after he calls my dasher. He never calls back. at 9 PM (now 3 hours after the time I placed my order) I get a text from my dasher saying that she's at the restaurant but they have no order for me - did I cancel it? Did someone from Doordash contact me? She and I both try for 30 minutes to get someone on the phone before we both give up on you and my husband goes to get Chinese food across the street. While this is happening I get a 3rd person on the phone and tell them to cancel the re-order - that is now 3.5 hours past the time I ordered food, 3 hours past the delivery time, and it is unacceptable. 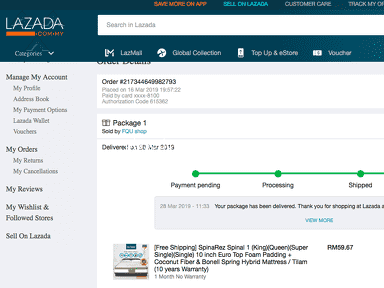 He says no problem - he will cancel right away and refund me. Then I get an email from you saying that I "abandoned the order" and no refund will be issued. But the order was never picked up or brought to me, so there is no way that I abandoned it. at 11 PM (note - now 5 hours after I had a delivery scheduled) I get a phone call from DoorDash customer support. WHY ARE THEY CALLING ME AT 11 PM? They tell me that they see two open orders for me - one that I abandoned, and a second order - do I want a delivery? 5 Hours after my scheduled time? When I am in bed? Do I want a delivery? 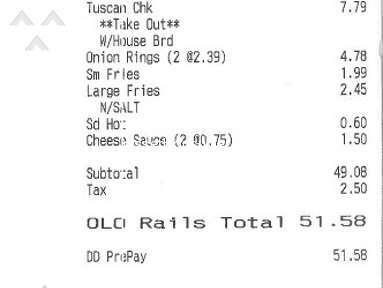 Worst ordering experience ever. Will use literally anyone else in the future. Review #1438564 is a subjective opinion of PoshBichonFrise135. Do you know how to read? If so try again. Wasn't complaining about a Christmas Eve delivery. LOL... do you really think there are people who want to bring YOU food on Christmas Eve?